Lent has begun last Ash Wednesday, February 10 for the Catholic faithful. That means I’m two weeks behind my lenten reflection series for this year. For my first reflection, I’ll share something more personal than usual only because I believe with all my heart that it can give lesson and comfort to those who would be able to relate their own situation from my own story. Honestly, I don’t know how to start telling this story, trying to be very discreet yet honest and straight to the point. I must capitalize on one of the perks of being an ordinary blogger (not a celebrity), which is the freedom to write without subjecting myself to bashers and judgment. My heart clearly insists that I should write about this, and, so, here it goes. I grew up with my three sisters in my mother’s ancestral home. As I’ve probably told you here in my blog, we were never rich. We had very tough times as a family. We frequently lacked money. I will not go into details but I want you to imagine a family depending on a relative for survival. That relative is my uncle, brother of my mother whom we are indebted for for life. He helped us survive. He helped us with our education. He helped us enjoy our childhood, from summer outings, birthday cakes to Christmas outfits. My family and I are eternally grateful to him and his selfless and generous family, my cousin and auntie. Had they been selfish, we would not be who we are right now. 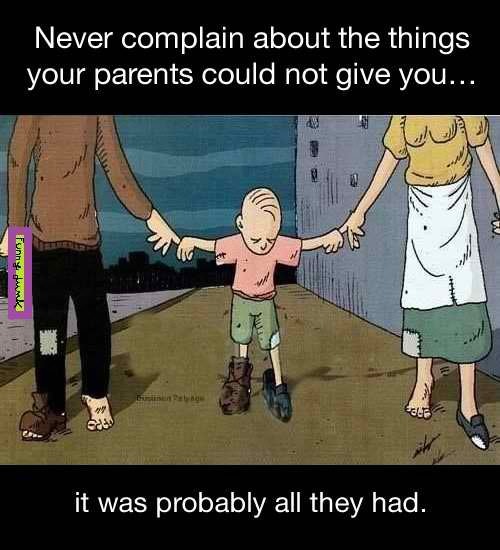 As for my father, he is a good provider too, only, it’s not only us whom he was providing for. Growing up, I always thought he was just a man who was unfortunate when it comes to jobs. When I had my own mind and started figuring things out myself, I realized that we have contenders when it comes not only to his finances but also to his love, care and affection. One would think he had another family beside us. I have clear memories of specific situations but out of love and respect and tutal naman I have already moved on from all the hurt, let me just keep those things to where they ought to be, to myself – at the back of my mind and heart. Just recently, my dad’s eldest brother died. He spent most of his life living and earning abroad. If to my mind, my dad’s divided love for us and his biological root/origin family had always been a big puzzle, his brother’s death was the last missing piece. I finally understood. I learned for the first time about my dad’s own sufferings, depression and despair. It’s clear to me now where he was coming from. Their eldest brother seemed to have left their family. There were occasions when he asked him for help, for himself and later on, for their parents. He got nothing but denials and frustrations. The three rejections which greatly affected him and made him cut all connections with his brother for a long time were when he asked him for financial help for his review in board exam, again for financial help when my mom’s ancestral house was destroyed by fire and when their parents started getting ill due to old age. For the longest time, he harbored resentment towards the collective actions of his brother. Of course, this is just one side of the story. I will never know his brother’s version. But, the feeling of abandonment by their own brother was the reason why all these years (up to now), my dad could not give us his whole self. He could not bring himself to leave his root family. True indeed, there is a reason for every man’s action and behavior. True indeed, there are things which are way beyond our control. I’m writing this to free myself 100%. Now that I know enough to understand my father, I can finally say that I am at peace with my past, presently complete and ready for my future. I’m grateful that God has given me the opportunity to love both my small own family and our extended families, without any of them suffering. I pray that God will continue to bless me not only financially but the wisdom, more importantly, to always find the equilibrium of love. I thank God for blessing me with generous and understanding husband, kids and sisters. There is nothing wrong about helping your parents, your siblings, your nieces and nephews because there is nothing wrong about loving people. In fact, it’s God’s order. However, make sure that no one gets left behind. How do we set limits? How do we set boundaries? How much to give? How do we measure the goodness of a man, of a father? I wish I have the answers so that I can compute but the void left in a person’s heart can never be measured. Anyway, as I said, the puzzle is finally complete. Now, I know the story – his story and the vulnerable side of him. I finally understood. I have forgiven before and now again, completely. And, the best thing for me to do now is to avoid making the same mistake. My dad’s story may not be very inspiring but from his experiences, I surely learned a lot about myself, about love and responsibilities and about the entire human race. I always tell this to myself, my dad may not be the greatest father in the world but he’ll always be the greatest son, brother and uncle anyone could ever hope for. He never put himself first before these people, the ones he loves the most, his whole life. P.S. Coincidentally, today is also my dad’s birthday. Happy birthday, daddy! Celebration would be later. Despite everything, despite his own frustrations, imperfections and scarcity, I know that he tries his best to love us the best way he can. It is just that, it was probably all he had reserved for us. Genesis 2:24For this reason a man shall leave his father and his mother, and be joined to his wife; and they shall become one flesh.